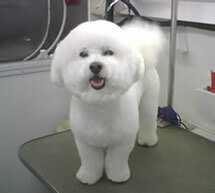 Shampooch Mobile Pet Grooming strives to give you and your furry family members the best service possible. We offer a clean, cage free, gentle, one-on-one pampering experience for your pet, and we do all of this in the comfort and convenience of your own driveway! Our commitment to a caring, stress-free, convenient experience has made us the preferred choice of today’s busy individuals in and around the Orlando area. You can take comfort in knowing that your pet is enjoying a relaxing spa environment without the inconvenience or separation anxiety caused by traveling to traditional grooming service. Best of all, your pet will leave our state-of-the-art, mobile facility feeling pampered, happy and healthy.